It has finally happened – or so it seems at least. After decades of fiddling while Rome burns, the North Korean government has at last begun to implement modest but real economic reforms. The new policy is very similar to Chinese experiments of the late 1970s. It might be too early to say but it appears that these policies may be as suitable as they were for China. The changes began with instructions issued by the Supreme Leader Marshal Kim Jong Un on June 28th 2012. These instructions have never been published and probably technically remain classified. Nonetheless, the content of the “6.28 instructions”, as they are usually called, became widely known last year. For a brief period in 2013, the instructions attracted much attention and discussion amongst North Korea watchers, which may have been the reason why the changes were not implemented immediately. For a time it even seemed that the instructions had been discarded and forgotten altogether. 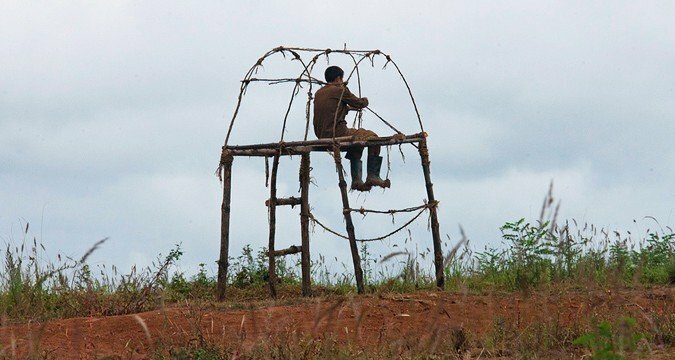 It has subsequently turned out however, that the “6.28 instructions” have been quietly implemented, though the new model has yet to become universal in its application– many North Korean farmers still continue to toil under the hyper-Stalinist North Korean model of ‘socialist agriculture’. In essence, the “6.28 instructions” envision two radical changes. First, the work teams that toil North Korea’s cooperative state-run farms are to be reduced from 15 to smaller groups of 5 or 6. This is not a mere technicality, the smaller teams are equal in size to the normal farming household, and it is widely understood that under the new system, most of the teams will be family-centered. In other words, North Korean farmers have been given the right to thinly disguise their family as a production team. This makes much sense in light of the second radical change . 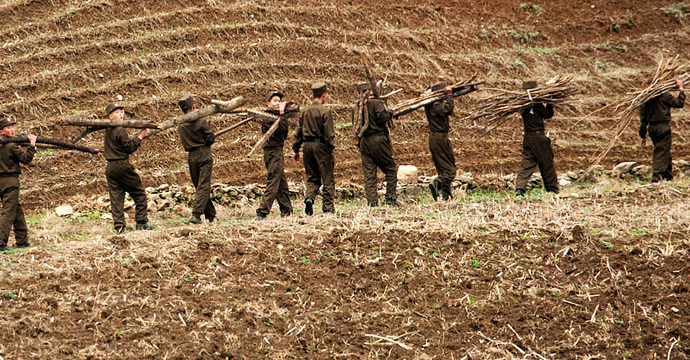 Since the late 1950s until now, North Korean farmers have been compelled to surrender the entire harvest to the state. In exchange, they were issued with rations of grain and other daily necessities. This meant that they worked for fixed rations and relatively small, essentially token pay. Under the new system however, things are set to be very different. Production teams will be allowed to keep some 30% of the harvest for themselves. It is assumed that they will be able to sell whatever they do not consume on the private market, and/or use it in any other way that they see fit, like rearing animals for sale and/or personal consumption. The new system has many potential issues and is fraught with uncertainties. For example, it is not clear how the North Korean state will pay those agricultural workers who are not directly engaged in crop cultivation – like drivers, vets and agronomists. Given the rather primitive nature of North Korean agriculture however, such issues are of lesser importance compared to other countries. 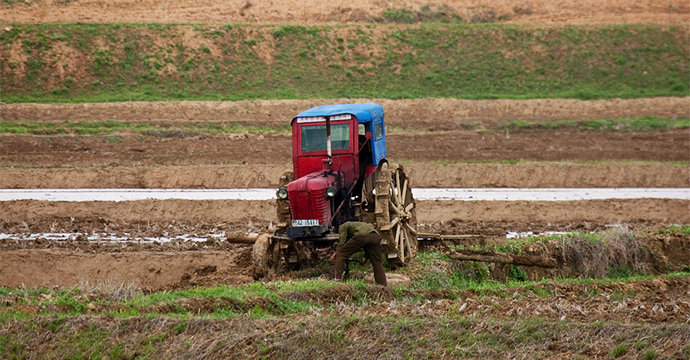 North Korean agriculture is still largely based on ploughmen who guide oxen while tilling the earth. The average field produces cereals like rice and corn, and does not have much in the way of supporting infrastructure. It seems that first results of the reforms are quite encouraging. Chinese experts who recently visited North Korea told this author that the reforms have produced an immediate 30% increase in output. This year’s harvest in North Korea is significantly better than usual, and it is possible, but by no means certain that the introduction of the new system has contributed to the palpable increase in food production. There is therefore good reason to expect that the reforms will be rolled out nationwide and will become standard in the next year or two. As stated above, these reforms are reminiscent of similar changes that began in China in the late 1970s. At the time, the Chinese state reintroduced de facto private agriculture, while maintaining the ideological facade of state socialism. The reforms turned out to be very successful, also yielding a 30% increase in output in just a few years. One wonders why the North Korean leadership is so late in implementing a set of reforms that have been so successful when tried elsewhere. It can be argued that such a policy, had it been introduced before the famine of the late 1990s would probably have saved many lives. However, at the time Kim Jong Il and his subordinates decided to cling to the remarkably inefficient state-managed agricultural model. This stubborn refusal to introduce agricultural reforms may have been an economic mistake, but makes a great deal of sense politically. 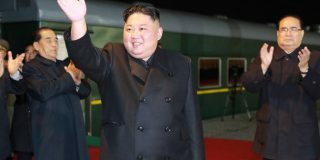 The North Korean state understood that by maintaining the existing economic system it was able to maintain to some extent the state’s waning control over its people. Given Kim Jong Il’s overriding political concerns, and his desire to maintain stability at all costs, this choice is not surprising. 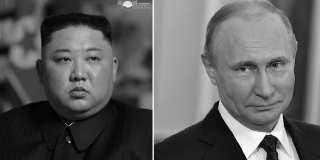 There is good reason however to believe that Kim Jong Un has a different agenda. Objectively speaking, agricultural reforms are the least risky of all economic experimentation. Farmers have been known to rebel, but generally speaking they are the most conservative and least well organized, not to say politically apathetic, of social groups in most societies. When political discontent erupts, it almost invariably begins in cities, with the urban working class and intellectual groups being the most active elements. Admittedly, an outbreak of political discontent in a major city is much more difficult to isolate, control and suppress than a riot in an isolated township in the countryside. There have been cases of successful peasant uprisings in recent history– Mao Zedong’s own rise to power in China being a significant example. However, in nearly all of such cases, they were organized by former urban intellectuals working in the countryside. Given the highly controlled nature of North Korean society, an uprising led by peasants seems implausible. The risks are therefore small and the prospective gains are considerable. 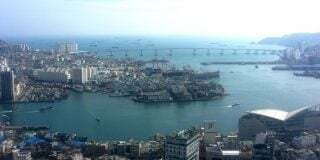 One should not expect that in a predominantly urban country like North Korea, the reforms will be as successful as they were in China 30 years ago. Nonetheless, things are beginning to change and this is to be welcomed. It seems that changes in agriculture, if successful, may encourage reforms in other sectors including industry. This seems to be what the North Korean government is going to do. Such reforms however, are likely to be far more risky than the current experiments with agricultural management. Subscribe to read the remaining 1078 words of this article.